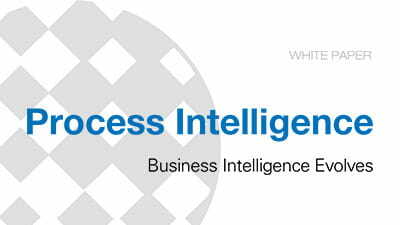 Process intelligence adds the missing ingredients that common business intelligence (BI), business process management and other products lack—the ability to see and understand actual process flows and to take action instantly on the insights you gain. Through process intelligence, you are empowered with the details necessary to determine root cause, uncover opportunities for operational improvement and quickly make changes that positively impact your customers, your partners and your business. 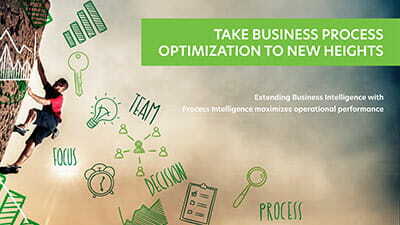 Deploy advanced functionality for operational performance improvement and data visualization, and quickly analyze and optimize your business operations—all from a unique process intelligence platform that reaches every corner of your operation to deliver the actionable insight you need. Analyze business process quality and performance on your schedule and in near-real time. Take action to achieve immediate business process improvements and drive evidence-based business change. Assess the effectiveness of issue resolution using an intuitive graphical interface. Power productive visibility in digitized processes. When you can monitor and analyze the quality of your business workflow in next-to-real time, you can optimize current processes immediately based on actionable insights and drive continuous improvement across your entire organization.